Circle of Chaos was a small kickstarter by a group of sculptors who each contributed one or two sculpts. The idead was (obviously) to create a small old school Warhammer Realms of Chaos warband with mutations and all. I loved the concept and the seven varied individuals that make up the warband. I deeply regret not forking out for the big Rhino-centaur thing as well. Some sort of corrupted, chaos or just plain evil man-sized treeman or dryad (not sure what they were called back then, or even now.) 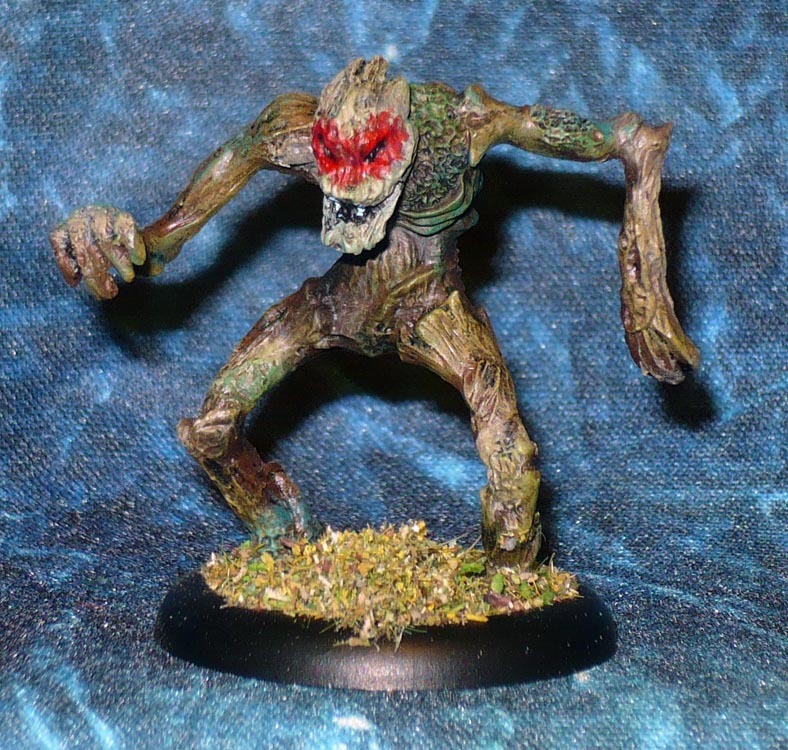 I opted to not go for the “Snow White Black Forest” look and rather indicate the foulness of this evil Groot with a strong, reddish glow around the black eyes and the toothy, leering smirk.